Clear all jelly and reach 90000 points to complete the level. This level have too easy difficulty and you need to use few simple steps to complete this level. 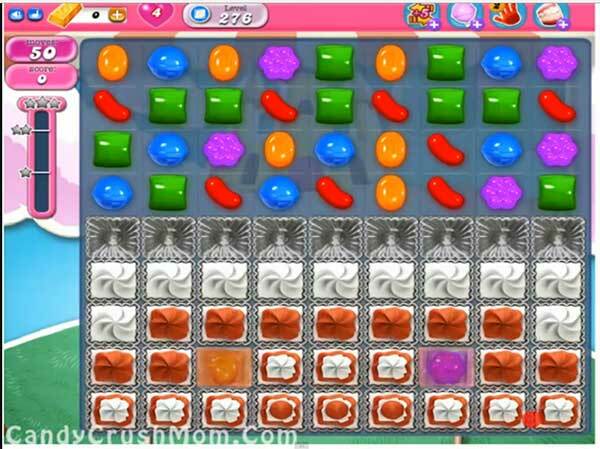 For this level first try to make the striped candy to break the blockers and then try to make colorbomb and match with normal candies or with other special candy to easily break all jellies. We completed this level with 379520 score using the above strategy and got three star score at the end of the level.